Our Webb Road campus is home to our Toddler environment (ages 18 months to 3 years) and THREE Primary classrooms (ages 3 to 6 years), as well as our admissions office. The campus features shaded decks, butterfly gardens, a large playground with picnic tables, and a small playground for toddlers only. 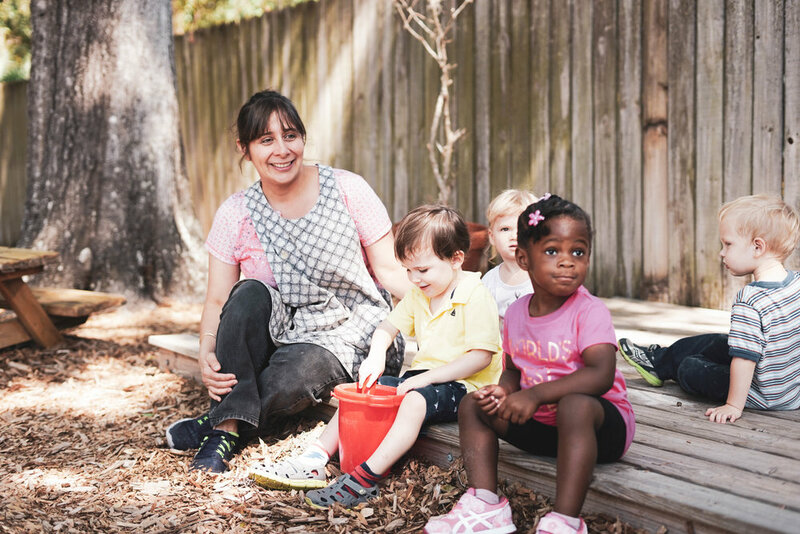 Carefully designed classrooms accommodate environments in which our students begin their life’s work- a lifelong educational journey full of eager anticipation and joyful discovery using materials designed by Maria Montessori. The playground and classroom gardens are shaded by generations-old oak trees and are enclosed by classroom and administration buildings, covered walkways, and spacious decks. Both Webb & Civic Road Campuses hosts our annual Marketplace event, which is held prior to the winter break. The proceeds from Marketplace benefit needy families in the Tampa area, and is a great way for our school family to give back to the community. This campus also curates the CMS Student Art Show each year.